A Tonk's Tail... err, Tale...: Our Secret Paw Tell-all! What a wonderful Secret Paw package you three got. You are all going to have such fun with everything. That was an awesome package o'presents. It's a fun time of year for sure. purrtastic secret paws prezzies! You guys are having a blast! We think you did pawsome and we also think your Mom's pawsome photography was fantastic too! WOW! Big score on Secret Paws! Lots of great presents and there's bound to be a FEW disagreements about who gets what.......but definitely the PINK should go to Allie - I mean REALLY - pink is her color guys! That's a terrific secret paws stash!! Great photos!! I love your toys! 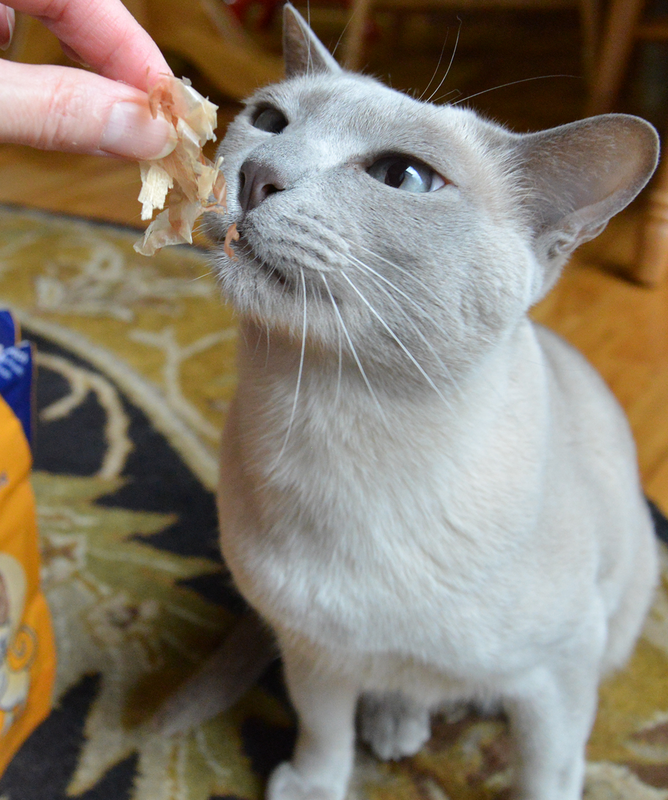 Truffle and Brulee's human picked out some really great ones - and those TREATS! 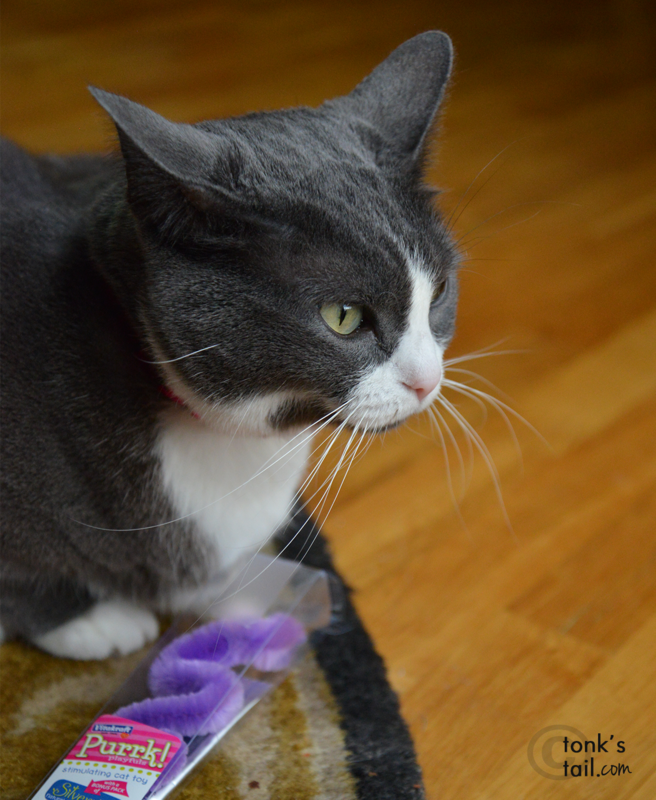 We specifically picked out the pink wand toy for Allie. 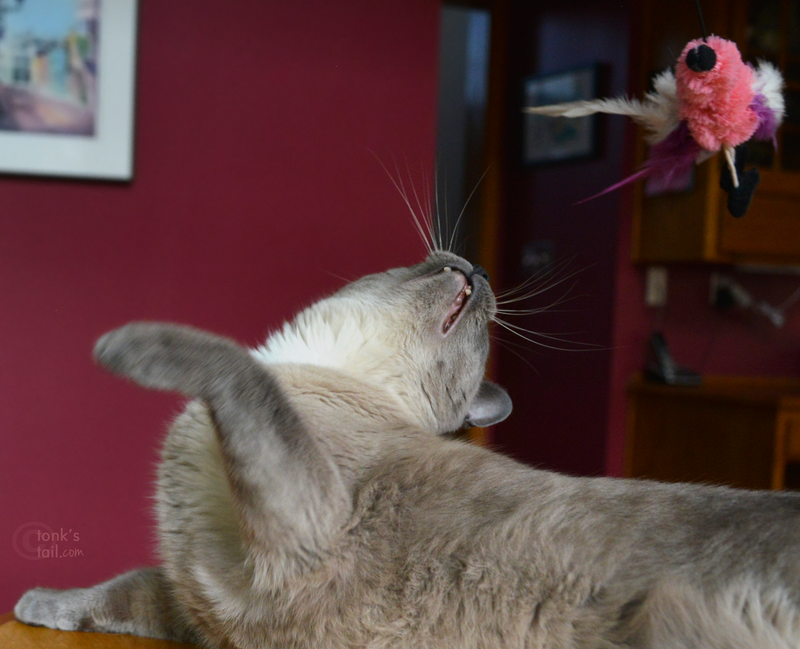 Of course, mancats can play with pink, too. Troubles in Kitty City I would say. 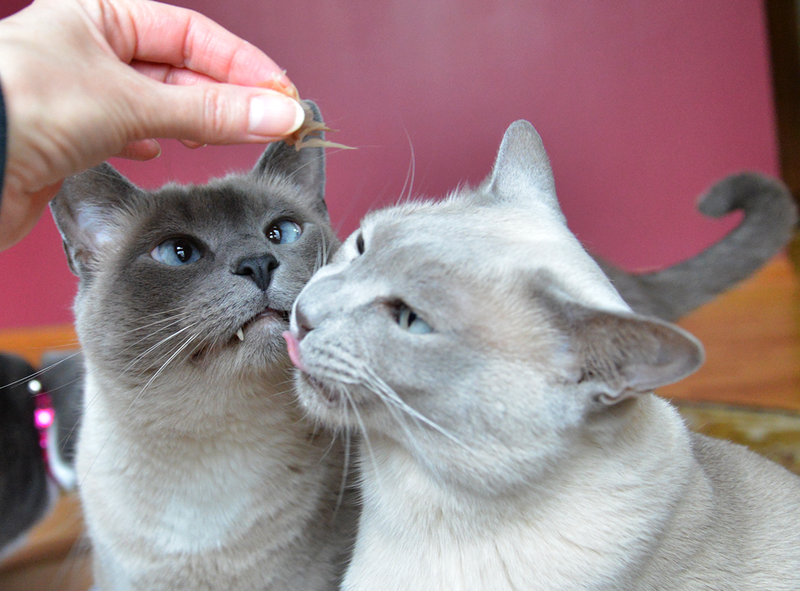 Sharing is tough, but you seem to make up quickly. 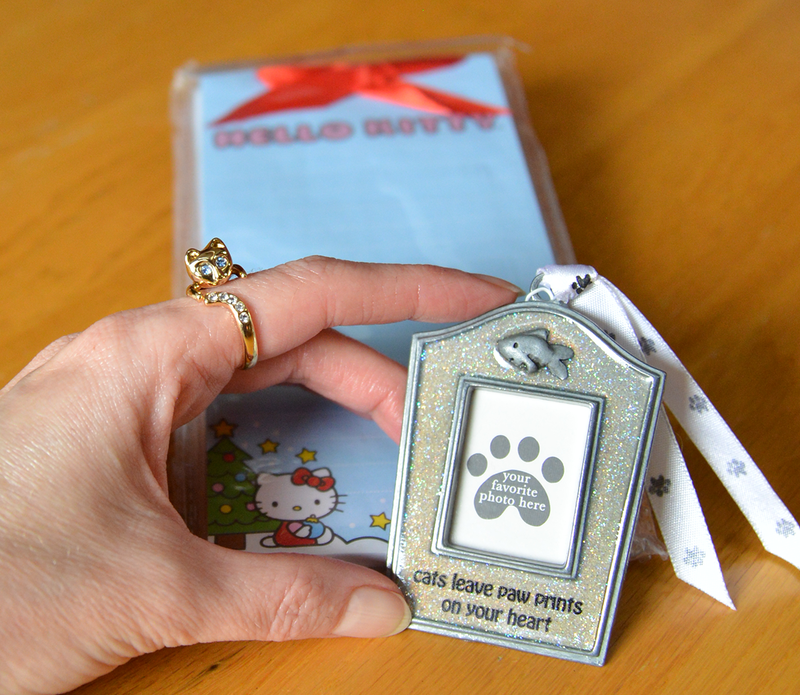 Aw, looks like you all LOVE your Secret Paws pressies...they are awesome! Great photos! 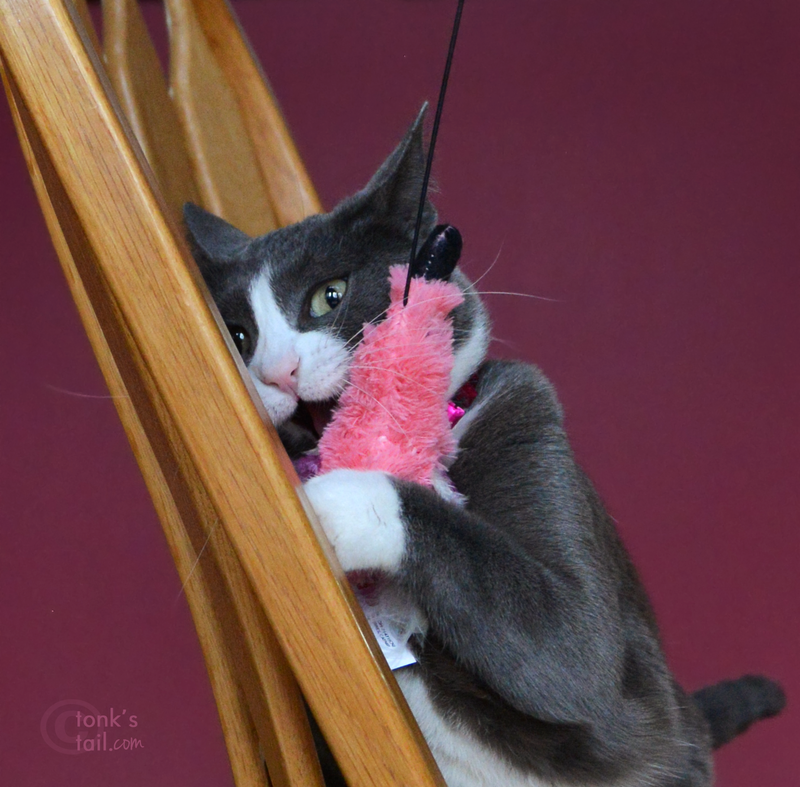 No surprise Allie claimed the pink wand toy! That is a great Secret Paws package you all got. LOL! 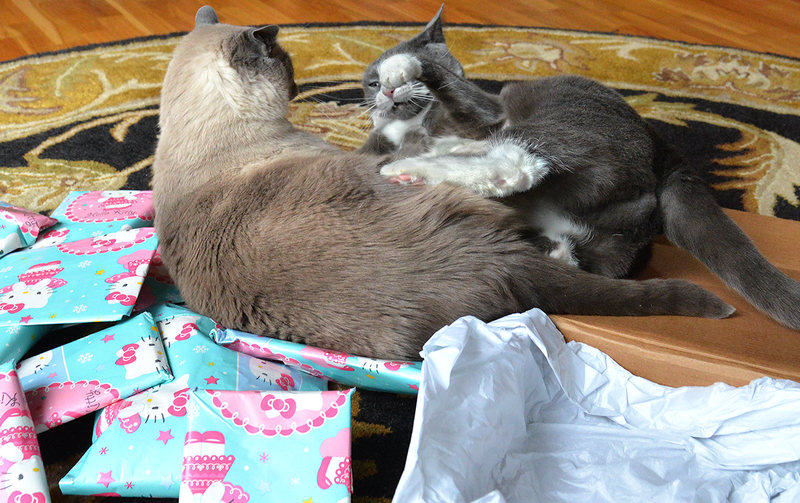 Oh, boys, you shouldn't leave Allie out for opening present! Glad order was restored :-) That's such a wonderful package you got, with fun toys and yummy treat! Love the gift your mom got. It is adorable. We enjoyed all the great photos. Have fun, kitties! What a wonderful Secret Paws package! The expression on Faraday's face with those bonito flakes is especially adorable. Wow! You guys sure got some cool presents! 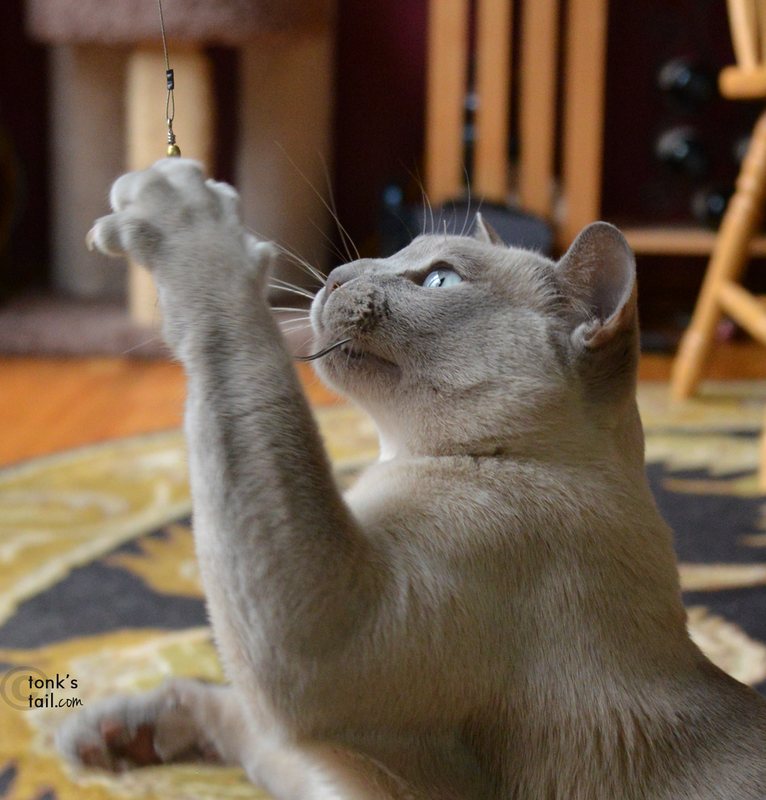 That wand toy looks like so much fun. And those bonito flakes? Yummo! You sure SCORED on the wand toyz!!! 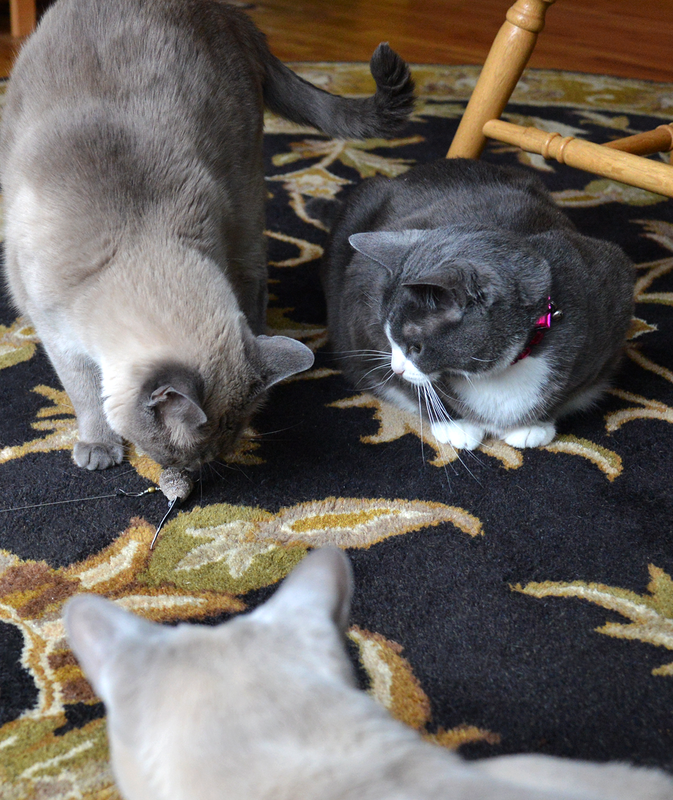 That little Go Cat mouse is a Townhouse FAVE. I'm glad you all decided to share your toys (or most of them). 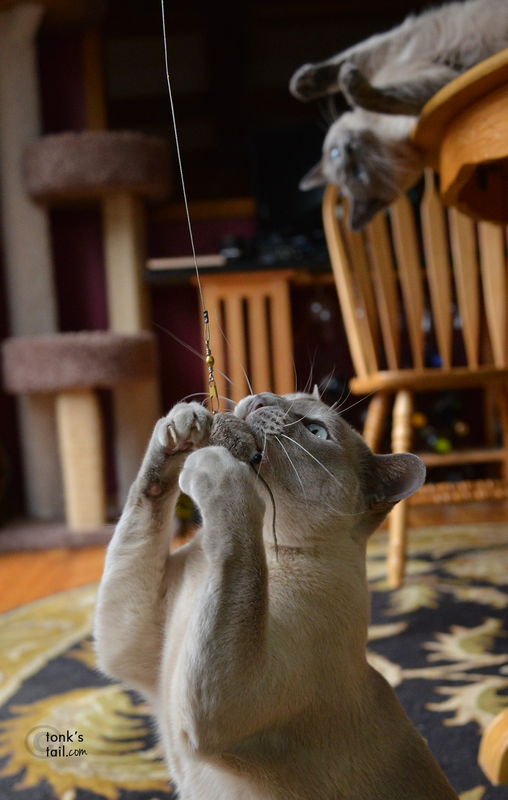 Looks like you're having a great time with your new toys and enjoying your treats. Excellent presents from the one and only Mom Paula, Truffle and Brulee! Our mom loves your mom's cat ring!